Silver Gold Bull's Platinum price chart displays real-time data for Platinum prices today and the historical price of Platinum per ounce. Please scroll down for a full, interactive platinum price chart. Take your time and browse our most popular platinum bullion categories. Sign up for a Spot Alert and get notified when your target platinum price gets hit. Sell your platinum bullion at best rates - click here! Humans have made use of platinum, in one form or another, since the dawn of recorded history. Evidence of platinum jewelry was found in the Casket of Thebes, and important Egyptian burial site. From this and other discoveries, archaeologists have determined, with certainty, that platinum was popular for its aesthetic appeal amongst Egyptian pharaohs and noblemen. Indigenous populations of South America also made use of platinum. In some forms, it was used for informal jewelry, such as nose rings and bracelets; in other forms it was reserved specifically for special ceremonial jewelry. Tribesmen would produce jewelry out of a white gold-platinum alloy that had a unique appearance and texture – there was nothing that was as durable or heat-resistant as platinum. The Spanish rediscovered platinum in South America during the Imperial era. Antonio De Ulloa made the discovery in 1735 while travelling through Peru and Columbia, and brought it back to Spain for further investigation. This initiated a prolonged period of research into the properties of platinum in relation to gold and silver. Chemists and metallurgists gradually came to the consensus that platinum has a higher density than gold or silver, that its melting point is higher than gold and silver (1786 Celsius), and that it is less malleable. From these discoveries, it is clear that platinum has always been an important third, alongside gold and silver, in the trifecta of precious metals. In 1888, an enormous platinum repository was discovered in Sudbury, Ontario. This initiated a period of growth in the production of platinum in Canada, and indeed across the world, as the demand for the precious metal began to grow across several industries. In particular, platinum’s use in diesel automobile manufacturing drove demand for it throughout most of the 20th century, as the North American auto industry reached its zenith. Today, Canada consistently ranks within the top-five platinum-producing countries every year, and the demand for platinum shows no sign of letting up. Monitor live changes to the current platinum price with our platinum price charts. Get up to date information on the ever-changing platinum price and make the most informed investment decision with the investment bullion professionals at SilverGoldBull.ca. View the platinum price in real time, or view historical platinum prices from the past 30 years with our intuitive platinum price chart. Use the sliders to customize your platinum price chart data and gain insights into platinum price fluctuation up to the present day. 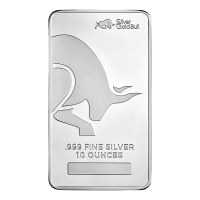 Use your mouse pointer to hover over the chart for specific daily platinum price information. Use our platinum price chart as an accurate tool to help digest the specific platinum price info you need in order to make an educated, accurate and effective platinum bullion investment decision. Auto Manufacturing. Platinum is often used to induce chemical reactions within the inner workings of diesel automobiles. The most important use of platinum is in the form of a catalytic converter, which ensures the combustion of excess hydrocarbon from within the vehicle itself. The market for platinum in diesel vehicles is strongest in Europe, but exists in various sizes across the world. Jewelry. There has always been, and will remain to be, a strong consumer market for platinum-based jewelry. Whether combined to make an alloy with silver or gold, or fashioned out of the pure metal itself, platinum jewelry has strong market potential in established markets (like the United States), as well as developing markets (like India and China). Industrial Uses. Platinum’s ductility and corrosion-resistant properties make it ideal for use in petroleum refineries. Its high melting point means platinum is often used in thermocouple temperature measurements in the glass and steel industries, to give just one example. Aside from market demand, an additional value to platinum investment comes from its rarity. There is almost no risk that supply of platinum will outweigh demand, which, for an investor, means it’s value will never be inflated because there is such a small amount of platinum available to invest in. How Does the Economy Affect Platinum Prices? The global economy is subject to the laws of the commodities and investment market. These laws dictate a cyclical pattern of immense highs followed by tremendous lows. It is important to acknowledge that these ups and downs are actually stabilizing the market. It is inherent to the structure of markets to rise until they verge on crashing, before sliding back down to relative equilibrium. When markets become overvalued, investors begin to fear a crash. In order to bring maximum ROI, investors tend to pull their money out of the market and wait for the crash to occur before reinvesting. When a majority of investors sell their stakes, it pushes the entire market to extreme lows. This orientation to market dynamics contributes to the cyclical nature of global trading, and sometimes this leads to market crashes. What is the Best Way to Protect My Investments If the Markets Crash? The only way to protect investments from a market crash is to invest in a precious metal like platinum before a crash occurs. Platinum has been shown to perform well when the market falls into a tailspin. Is Platinum Susceptible to Market Fluctuations? Due to platinum’s strong industrial demand, it is susceptible to market fluctuations. However, the supply deficit of platinum means it is rarely subject to inflationary pressures. In fact, research into market trends indicates platinum is a safe haven in times of inflation. Like gold and silver, platinum prices actually get stronger when inflationary pressures create over-valuation across the market. The upward trend in the price of platinum usually lasts longer than a year and can bring prosperity in tough economic times. Platinum prices will slowly downtrend as economies strengthen and the entire cycle will begin again. When the price of platinum rises, be sure to watch global markets closely. Why Does Currency Fluctuate So Much? Currency fluctuates because it is not tied to a finite entity. It is tied to the same principles of supply and demand that control the market. As such, it is subject to the same inflationary pressures that drive the market into unstable price points. When markets begin to rise in value, the volatility induces consumers to hold onto their money. When the price of goods drops back to normal levels, but the currency is worth much more than it used to be, consumers start spending once again. This quickly produces an environment in which there is more demand than supply. The price of goods quickly becomes inflated once again, and the value of a dollar decreases. Central banks and governments may induce some limitations to spending thereby reducing inflation. These limitations may increase or decrease the amount of currency supply, or adjust the interest rates at which money can be borrowed. When the market is already in free-fall, these measures are usually not enough to curb inflationary pressures on the value of currency. Once the price of goods begins to increase it is very hard to prevent it from spiralling out of control, because investors looking to invest in the currency will not see any value in it. You can keep up with real time changes to the platinum spot price by checking our live platinum price chart. Explore historical platinum price trajectories from 30 years ago to see where the platinum prices have been, and where they are going. The platinum price charts are user friendly and full of insightful comparisons. To see the price of platinum on any given day, simply hover over the corresponding point in the chart and information will pop up. Drag the horizontal sliders to observe platinum price information over any specific time period. Use these charts to gain strategic insights into past platinum prices & future platinum price trends. What Factors Determine the Price of Platinum? The price of platinum is determined via the inter-relationship of several factors. Much like any commodity traded on the market, investors in platinum must take a broad look at global affairs before deciding to invest. Geo-political events are instrumental in determining the price of platinum. These real-world events can be environmental, political, social, or economic in nature, but one thing ties them all together: they are unpredictable. A recent example illustrates the impact on the platinum price quite succinctly. In 2016, the price of platinum was kept low because of supply-side issues. South African mines were afflicted with recurring electrical power outages over the course of a year. As South Africa is one of the largest producers of platinum, and the overall volume of supply was reduced because of these power outages, this real-world event had a direct impact on the live spot price of platinum. Market speculators and investors also have a large role in setting the spot price of platinum. Speculators engage in platinum futures contracts, which essentially bet on the future price of platinum. Investors may put their assets into platinum mining, ETFs, or physical platinum itself. Investors are prone to buying up platinum when the price is low, and holding on to it as the platinum price begins to rise. This push and pull impacts the platinum spot price. Supply and demand is a fundamental determinant of platinum spot price. The different markets in which platinum is required mean it has many forces of influence determining its price. Given the myriad industrial uses of platinum, any shortage in supply will cause the platinum price to rise, as evidenced by the situation today: the price of platinum is on a long upward swing as demand increases but supply decreases. Corporate investment is a fourth influencer of platinum price. Corporate investors will assert their buying power through the purchase or sale of huge amounts of platinum. These major market deals influence the supply of platinum on the market, and thus influence the platinum price globally. A fifth determinant in calculating platinum price is the value of world currencies. Usually, there is an inverse price relationship between the strength of the US dollar and the price of platinum. That is to say, a weak USD is bullish for the platinum price. Make use of our tracking software to buy and sell platinum when it's best for you. All you have to do is set a target for platinum price per ounce, and when the market price is hit, we will send you an email notification. The platinum spot price is the evaluation given to platinum in its essentially raw form, prior to any costs associated with manufacturing, transportation, and dealer fees. The platinum spot price is determined by the bid and ask by users and speculators around the world, and is judged to be equal across all global markets. A global platinum spot price is important for two reasons. First, it represents an important preventative measure against platinum arbitrage (the act of buying a product in one market and selling it for profit in another). Second, it encourages investment across borders by making it easier for companies and investors to project the future of the platinum price. Investors and companies can use the platinum spot price to consider the merits of investing in platinum. The spot price of platinum changes every day. It’s important to keep track of the live platinum spot price before making an investment in platinum because it represents the most important variable in your decision-making process. The abiding logic of ROI remains the same with platinum: track the historical platinum price trajectory to ensure you buy low and sell when the platinum price is highest. What is the Retail Price of Platinum? Calculating the retail platinum price is relatively straightforward. Simply take the platinum spot price and add a premium. The platinum premium is nothing like a tax – it varies depending on the size of purchase, the location of the purchase, and the amount asked for by the dealer in question (after all, dealers must make a profit too). From an investment perspective, the most ideal form of platinum to buy is in bar form. The premium you will pay for a platinum bar is far lower than platinum jewelry or platinum coins which come with higher manufacturing and dealer fees. The price of platinum coins will depend on the spot price. The platinum spot price should be taken as the base upon which additional costs will be added. In the case of platinum coinage, you must consider the scarcity, mintage, and numismatic value of the particular platinum coin. These intangibles, along with the actual condition of the coin itself, are all additional costs associated with platinum coin investment. How does Mintage Impact Price of Platinum Coins? Mintage refers to the creation of a set number of a particular type of platinum coin. The rarity and reputation of the Mint producing the platinum coins in question directly impacts the platinum price. There are sovereign and private mints in operation, with sovereign mints usually producing more valuable platinum coinage. Where Should I Track Daily Platinum Prices? Our interactive charts and live platinum price tracking offer two excellent services in one. Either you can see the minute-by-minute platinum price changes in the form of a graph or a chart. Or you can compare current platinum price trajectory with the past 30 years of movement to get an idea of whether you should buy, sell, or hold your platinum investment bullion. Monitoring the live platinum price tracker is the best way to stay on top of your platinum investments. Platinum prices per ounce are determined by two factors. First, all the costs associated with its manufacture, transportation, and production must be considered and incorporated into the platinum price. Once this platinum price has been set, central banks and COMEX investors will consider all other associated costs (including the forces of supply and demand) and provide a monetary value per ounce of platinum. It is at this platinum price that the precious metal can be bought and sold on the market. There is no question that the price of platinum will change every day. Given the number of market influencers, from mining supply to diesel car manufacturing demand, there is no downtime as a platinum investor. Monitoring live platinum prices can also help investors gain insight into the health of global economies. What is the 5-year Low for Platinum Prices? Use these platinum prices as a benchmark to gauge the future of the platinum price. 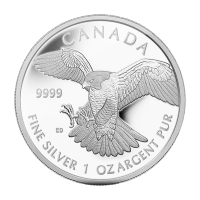 On Friday, November 30th, 2015, the spot price of platinum hit a five-year low of $1,110.26 CAD per troy ounce. What is the 5-year High in Platinum Prices? 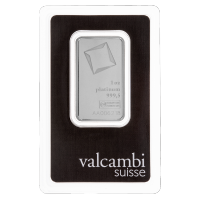 On Wednesday, February 6th, 2013, the spot price of platinum hit a five-year high of $1,728.80 CAD per troy ounce. What is the 10-year Low in Platinum Prices? 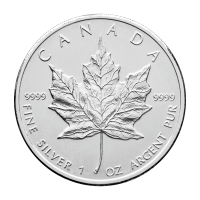 On Monday, December 3rd, 2008, the spot price of platinum hit a ten-year low of $972.29 CAD per troy ounce. What is the 10-year High in Platinum Prices? On Wednesday, March 5th, 2008, the spot price of platinum hit $2,215.17 CAD per troy ounce. Where Can I Calculate Potential Investments in Platinum? Find the investment calculator you need at SilverGoldBull.ca. Our calculator lets you investigate platinum prices in grams, ounces and kilos. It helps to have the most up-to-date platinum price tracking software at your fingertips to make the best investment decisions. Is Platinum Spot Price Listed in CAD? 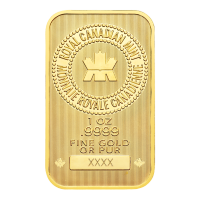 We list the platinum spot price in CAD because a majority of our customers are based in Canada. 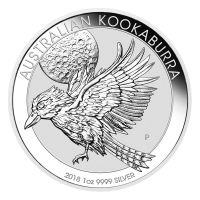 However, the platinum price listing can be converted in other currencies for those living outside of Canada, or those curious to see platinum prices listed in another currency. Please note: The currency evaluation will always be equated to the price of 1 troy ounce of platinum. Markets are open Sunday-Friday, from 6 p.m. (ET) to 5:15 p.m. (ET). As such, there is little time for trades to set in before fluctuation begins again. You can keep track of daily platinum price changes with the live platinum spot price tracker available on our website. Premiums are additional costs to any platinum bar investment that must be paid at time of purchase. Premiums take into consideration four additional costs: the current spot price, the fabrication fee, the cost of distribution, and a small dealer fee. There is a significant difference between the premiums added to bars compared to coins. Platinum bars have low premiums because the cost of fabrication is lower. Since platinum bars are neither rare nor of particular mintage quality, there is no additional aesthetic value added. Platinum coins, on the other hand, come with higher premiums attached. Aside from the mintage and scarcity (which are already considered in the premium), there is also numismatic value. Numismatic value refers to the relative rarity of the platinum coin in question. The more rare a coin is deemed to be, the higher the premium to be added at point of sale. How Does Numismatic Value Affect Platinum Price Premiums? Numismatic value encompasses particular material and aesthetic features of a platinum coin that justifies increased value. Numismatic value may refer to rarity, the artistic merit of the coin’s design, the age of the coin relative to its condition, and more. 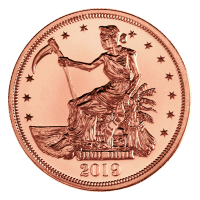 Coins with high numismatic value may represent excellent long-term investments, because while the upfront costs are higher, the intangibles that make it more valuable will only continue to strengthen over the years. There are two types of physical platinum available for purchase on the market: bars and coins. Platinum bar price can be determined by adding the platinum spot price for the given number of troy ounces with the premium (fabrication costs, distribution and dealer fees). Combining these two amounts will tell you just how much the platinum bar will cost to buy. As we have already described, premiums on platinum coins are both harder to predict and generally more expensive than bars. In order to assess the price of platinum coins, you must combine the numismatic value with the premium (fabrication, distribution, and dealer fees) and add it to the platinum spot price. Sovereign coins are minted in government run mints. Usually these mints produce coins that reflect an important moment or person in the history of the country. Aside from this numismatic value, there are usually fewer sovereign coins minted than privately minted rounds. As such, the platinum price & numismatic value of these coins is more expensive. Private mints produce rounds for purchase that have their own intrinsic numismatic value. Aside from being more affordable as an investment vehicle, private mint rounds often pay homage to the natural world or mythic personae from the distant past. 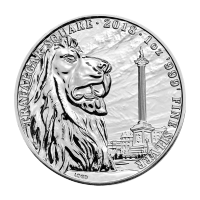 The platinum price of a privately minted round will always be a bit cheaper than sovereign minted coins. Though it may say that platinum is measured in ounces, that is in fact not entirely correct. Platinum is always measured in troy ounces. A troy ounce is one-tenth more than the standard ounce. The standard-ounce is actually known as the ‘avoirdupois ounce’, but this amount does not have international recognition. The troy ounce is the international standard for all market trading, and is actually equal to 1.097 of an avoirdupois standard ounce. Most investment sites will offer a measurement in grams or kilos, which can be helpful in conducting research. It is also helpful to keep in mind that one pound of platinum is equal to 12 troy ounces. You will not find a better resource for measuring the price of platinum than our live platinum price tracker. Our chart keeps daily tabs on movements in platinum price, as well as silver, gold, and palladium. Our platinum price ticker offers insight into short and long-term platinum investment options at your disposal. COMEX, or the Commodity Exchange Incorporation, is the platform through which the price of platinum is set. COMEX also sets the benchmark price for gold, silver, and platinum and ensures that market prices do not get out of hand. Investing in platinum futures contracts is one of the many options available to investors. When you purchase a futures contract, you are essentially agreeing to two conditions. The first condition is that you will buy a set amount of platinum, for the platinum spot price per troy ounce at the time of signing. The second condition is that you agree to sell the platinum at a specific future date. The gamble with futures contracts is that you sell the platinum for more than you paid, the difference thus representing your profit. It is a popular means for investors to speculate and influence the movements of the market. What is the Platinum Bid Price? The bid price is the amount a consumer will receive when selling platinum to a dealer. The bid price is always listed in terms of 1 troy oz. of platinum. What is the Platinum Ask Price? The ask price is what a consumer should expect to pay a dealer when buying a certain amount of platinum. The ask price is always listed in terms of 1 troy oz. of platinum. The spread is simply the difference between the bid price and ask price. As such, it represents the available profit for a dealer in each transaction. The dealer can be you if you choose to sell platinum bullion or jewelry back to a dealer. Perhaps you are wondering why the price of platinum is closer to gold than it is to silver. Compared with gold and silver, platinum is a precious metal with relatively low consumer demand on its own. However, platinum is just as rare as silver and gold, and yet it has been mined in far lower volume than silver or gold. This scarcity contributes to an increased value. Furthermore, demand for platinum in the diesel automotive sector has been strong for 50+ years, and this may transfer into electrical automotive parts as consumer demand continues to transform the industry. These are the two forces that have kept the platinum price above the $500 USD per ounce price since 2002. On our website, you have access to the resources you need to track daily changes to platinum spot price. Now is a great time to invest in platinum. Like all other commodities, the platinum price was hit during the recession of 2008. Since then, platinum experienced a quick rise, before dropping back down to around $1,000 USD per troy ounce levels. Market projections have platinum stock pegged to rise slowly back up to $1,500 USD per troy ounce in the coming years as platinum demand increases relative to supply. The value of investing in platinum bars or coins is that you can store currency value in platinum bullion, letting it accrue over the long-term. Are Platinum Rates and Platinum Prices Different? Platinum rates and platinum prices are one and the same. Where Can I Buy Platinum Online at the Best Price? Deciding where to buy platinum online requires some close research. Some sites incorporate hidden fees into your transactions that you will not be able to predict unless you read the fine print. As mining output looks to increase over the mid-term, and industrial demand shows no signs of slowing down, it is safe to assume that platinum will continue to be a solid long-term investment option in a diversified portfolio. If you are new to investing in precious metals, an effective strategy is to divide your total available sum and begin with incremental investments. You can track the performance of each incremental investment to see if the returns are what you expected. Platinum Coins vs. Platinum Rounds vs. Platinum Bars: Which is a Better Investment? A number of factors are at play when it comes time to decide between investing in platinum bars, rounds, or coins. Platinum coins come with a bit more risk because of their higher upfront costs. Platinum bars and rounds on the other hand, represent lower risk and lower upfront costs. There is not much difference between platinum coins and platinum bars in the long-term, as both will probably make a solid ROI over 5-10 years. The best advice is to put a little into each platinum bullion product and track them over a 6-month period. This way you can keep a diversified portfolio and get a sense of how engaged you would like to be in interpreting platinum market fluctuations. Working with an official depository facility is the safest and most efficient way to store your platinum coins or bars. Our partner facilities offer fully insured protection for low premiums. Platinum stored in a safe deposit box is explicitly not insured, and your home insurance is not likely to cover losses due to theft. Our segregated storage facility means you can sleep soundly knowing that your platinum is in safe hands. We also offer to ship your platinum directly to you, or buy it directly from you, if you decide to liquidate. It is always advisable to consult with an accountant to ensure you have complete clarity on your investments. Do Big Banks Manipulate the Platinum Price? Big banks are involved in the buying and selling of platinum bullion, futures, and ETFs. Like any other major player, these purchases can send waves through the market. We advise all our customers to keep track of daily changes to the platinum spot price. Why is the Price of Platinum Not Likely to Become Volatile? Investors at COMEX, in conjunction with the global community of informed investors, trade platinum within exchange set limits to ensure long-term viability. Currently, the lack of adequate supply has kept the platinum price in check. The total amount of platinum mined in the world barely exceeds 7.2 million ounces. Compare this with 20 million ounces of gold, and 52 million ounces of silver, and the situation is sufficiently illustrated. Should the platinum price rise, it would reflect a combination of several liquid economic and social variables. Where Can I track Changing Price of Platinum Today? Looking to buy platinum at the lowest platinum price possible? Observe the ever-changing platinum price on our website. Take advantage of our interactive chart at SilverGoldBull.ca that tracks the live platinum spot price. Monitor the live platinum price to gain insights into past and future trends. Platinum prices change at every moment of every day, so use our platinum price charts to stay on top of your investments. Use the left and right sliders to customize your platinum price data, and view historical platinum price trends across the past 30 years. Simply hover over a particular point to see platinum price information for the corresponding day. It will provide all the insights you need to make informed investment decisions by buying platinum at the lowest price. To learn more about today’s platinum price, platinum investing, bullion investing & precious metals, visit the SilverGoldBull.ca blog to learn more.